I have two goals for 2014. First, I hope to write and publish Intertwingled. If all goes well, both book and e-book should be on shelves by end of summer. For now, I slog through snow and solitude, with miles to go before I sleep. 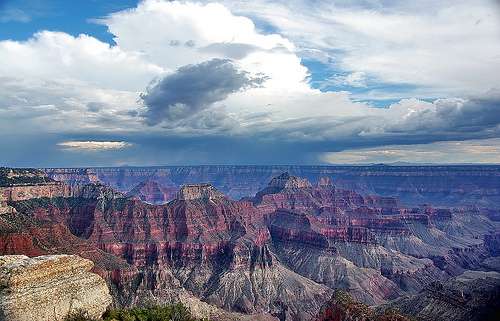 Second, I plan to hike the Grand Canyon rim to rim twice: South to North, a day of rest, then back. It will be hard, but I look forward to it, immensely. World IA Day 2014 will take place in 23 cities, 14 countries, 6 continents. Guess what else I look forward to immensely? IA Summit in San Diego. You know who's really crazy? Ultrarunners who race rim to rim to rim.